For 15 years now the Tower Lifts design and installation team has been creating beautiful bespoke lifts for the domestic, commercial and industrial sectors. Many of the clients we’ve worked with have started their conversation with us assuming that installation will be difficult, if not impossible due to environmental constraints. Thanks to platform lift technology, we’ve been 100% successful in overcoming the most challenging of environments to create unique platform lift solutions. Camouflaged, or hidden lift design for heritage or arts buildings. In 2005 the Disability Discrimination Act stipulated that all public buildings needed to provide inclusive access for people with limited mobility. This was then enshrined in the Equality Act 2010. Without the platform lift many businesses would have struggled to manage this requirement. So it has been one of the most satisfying aspects of our work to be able to provide cost effective, cutting edge technology inclusive technology across the UK. The UK has an ageing population, and is struggling to provide high quality social care for them. As a result of this, families are starting to invest in home lift technology, in order to extend the period they are able to stay in their own home. Thanks to the competitive pricing of platform lifts, home lifts are now a viable option for families. Tower Lifts has become the number one destination for companies looking for creative business solutions. In the majority of cases we’re asking to enhance productivity by finding ways to automate the movement of goods from one location to another. We’ve used the dumb waiter lift technology in a number of ways to move food, shoes, laundry, and works of art, with minimal human intervention. We have the most design fun with hidden lifts. These are normally commissioned for heritage environments, or art galleries where standard lift installation would distract from the visitor experience. The task is to create an ‘invisible’ lift which will appear only when activated. Our platform lift disguises have included grass, flagstones, marble, stairways and a wooden floor. Our reputation as the UK’s leading platform lift company has been achieved because of the range of applications we have discovered for this technology. 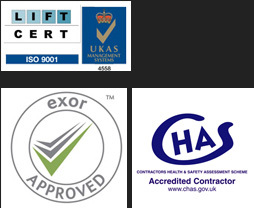 Right from the start we recognised that flexible, affordable bespoke lifts would be needed in ever greater numbers. Platform lifts provides the innovative technology to create them.